In a local economic environment motivated by innovation and cost saving, business leaders are exploring almost every value creating mechanism available to them to capitalise on opportunities perhaps unrecognized within current business models. Moreover, there are also continuous pressures to innovate and enable companies to be more agile and responsive in a highly disruptive global business environment. Increasingly, business leaders are turning to outsourced solutions as a way to both manage operating costs and to harness new technology solutions and innovations that are not within their core business expertise. 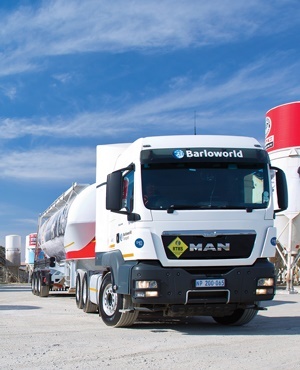 In South Africa, and indeed globally, a prime example of the shift to outsourced solutions can be found in the logistics and transportation sector. A report released earlier this year from supply chain consultancy Armstrong & Associates stated that 90% of U.S Fortune 500 companies rely on third-party logistics (3PL) providers for outsourced logistics and supply chain services. Locally, more companies are undoubtedly recognising the benefits of an outsourced logistics solution, with several key factors driving the trend. In addition, by relying on a provider whose core competency is logistics, clients can receive the benefits of customised solutions that are designed specifically for their industry needs and requirements. From retail to manufacturing and agriculture, every sector has a unique set of logistics challenges that are best served by highly tailored and smart transport solutions. With the emergence of data analytics and automated solutions, specialist logistics providers are also investing heavily in new technology platforms, as well as the talent needed to harness digitised solutions and business intelligence. As a result, by partnering with such providers, companies can reap the benefits of streamlined and more efficient technology solutions. With environmental regulations and standards becoming increasingly stringent, there is additional pressure on companies and manufacturers to monitor and improve their carbon footprints. According to Ferguson, harnessing an outsourced solution ultimately leads to fewer trucks on the road and thereby reduced emissions. “We continually strive to optimise payloads, so that we can safely carry more while burning less diesel per ton delivered,” he says. “As a logistics provider, we have a mandate to create sustainable business processes, both internally, and for our clients. In addition to environmental regulations, labour issues continue to be another difficult issue for local companies when it comes to transportation. Ferguson notes that due to the difficult socio economic climate, there are heightened service delivery protests and labour risks. “Local companies operate in an ambiguous labour environment, and there is always the risk of labour disputes,” he explains.